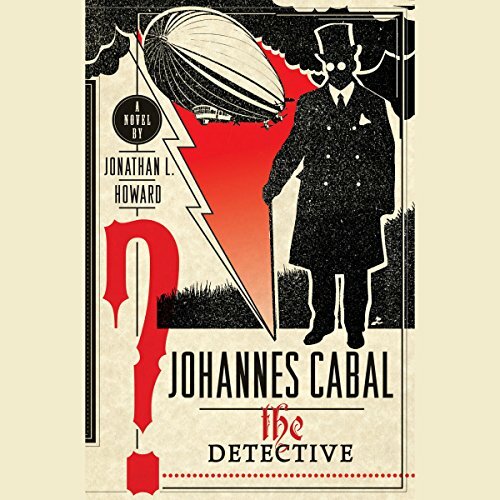 In this genre-twisting novel, infamous necromancer Johannes Cabal, after beating the Devil and being reunited with his soul, leads us on another raucous journey in a little-known corner of the world. This time he's on the run from the local government. Stealing the identity of a minor bureaucrat, Cabal takes passage on the Princess Hortense, a passenger aeroship that is leaving the country. The deception seems perfect, and Cabal looks forward to a quiet trip and a clean escape, until he comes face-to-face with Leonie Barrow, an enemy from the old days who could blow his cover. But when a fellow passenger throws himself to his death, or at least that is how it appears, Cabal begins to investigate out of curiosity. His minor efforts result in a vicious attempt on his own life-and then the gloves come off. Cabal and Leonie-the only woman to ever match wits with him-reluctantly team up to discover the murderer. Before they are done, there will be more narrow escapes, involving sword fighting and newfangled flying machines. There will be massive destruction, not to mention resurrected dead. Steampunk meets the classic Sherlockian mystery in this rip-roaring adventure where anything could happen - and does.